Adding to the tsunami of major announcements coming out of Cupertino on Friday, Apple and Irish rockers U2 teamed up to give away a free copy the band's new album to each one of the more than 500 million iTunes customers in 119 countries around the world. 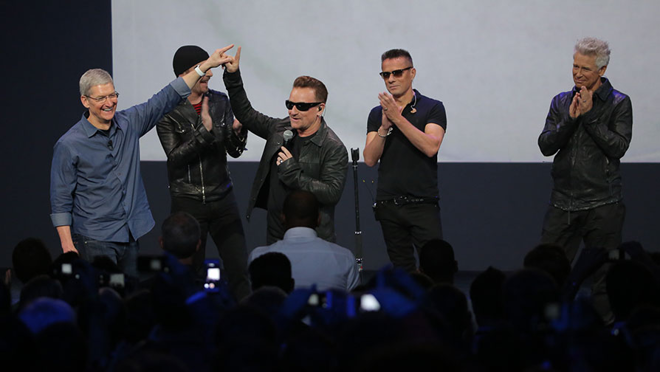 Apple CEO Tim Cook made the announcement standing alongside U2 frontman Bono at the end of the company's event earlier Tuesday. Following a performance of their new single, Bono asked Cook if he could help release the album. "Well, we have iTunes," Cook replied. The two then joined together on a five-second countdown, with Cook declaring at the end that that "actually happened." The album will become available in users' libraries throughout the day, and will remain exclusive to iTunes— for free —until Oct. 13. In addition, the album will stream over iTunes Radio and through Beats Music. Cook said that the event represents the largest album release in the history of the music industry. 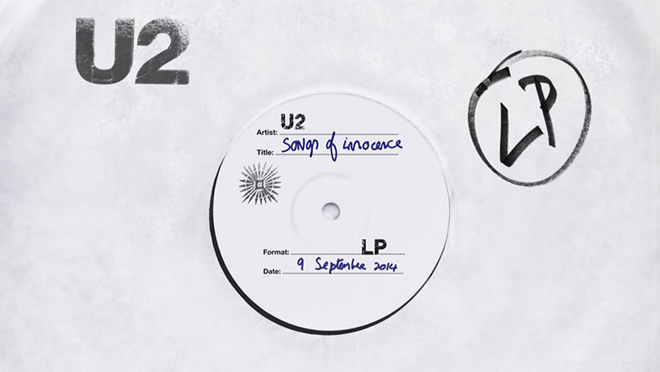 Word of U2's involvement leaked last week, but the band flatly denied those reports, likely at Apple's behest. "They are not releasing their album on the iPhone, and they are not performing at the iPhone launch," the band's representative said at the time.